The first big piece of the Colorado Rockies’ impending free-agency puzzle is in place. The Rockies announced on Wednesday the club has agreed to terms with Charlie Blackmon on a six-year contract, including two player options, which could keep him with the club through the 2023 season. Craig Calcaterra of NBC Sports reported the financial details of the deal, which could be worth up to $116 million total. Blackmon will maintain his $14 million salary for 2018, then jump to $21 million from 2019 to 2021. He has a player option for $21 million in 2022, and another player option of $10 million in 2023, with up to $8 million in incentives in the final year. Blackmon, 31, won the National League batting title in 2017 en route to claiming his second consecutive Silver Slugger award. The fifth-place finisher in National League MVP voting hit a career-high .331 last season while also setting personal bests in games (159), hits (213), runs (137), triples (14), home runs (37), total bases (387) and RBI (104). His 103 RBI and 383 total bases from the leadoff position were both Major League records, while his 213 hits were the fourth-most in franchise history for a single season. 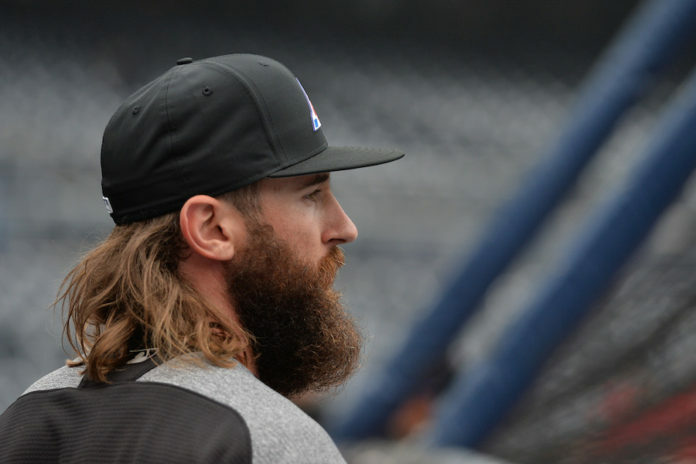 Blackmon signed this offseason on a one-year, $14 million contract to avoid arbitration in 2018, which left him a pending free agent as of the 2019 season. Colorado can now shift its focus on extending DJ LeMahieu, who also signed a one-year deal for 2018 and is scheduled to become a free agent in 2019. LeMahieu and Blackmon each have a pair of All-Star appearances for the Rockies. A three-time All-Star, Carlos Gonzalez, will become a free agent in 2019, as well, after signing a one-year contract with the Rockies during Spring Training. Gonzalez has played all but one of his 11-year MLB career with the Rockies. The biggest piece of the free-agent puzzle, however, is guaranteed to be with the Rockies through at least 2019. Nolan Arenado, like Gonzalez, is a three-time All-Star. He has won the Gold Glove award at third base for each of his five major-league seasons and he is a three-time Silver Slugger. Arenado is in the second of a two-year, $29.5 million deal. He has one remaining season of arbitration eligibility before he becomes a free agent for the 2020 season. The sports contract tracking website Spotrac estimates his annual value at $26.5 million.